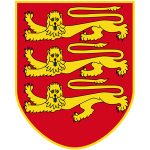 Jersey is a Crown dependency held by the monarch of the United Kingdom though it is not part of the UK. It is a part of the Channel Islands with its own identity. To promote, attract and retain inward investment for Jersey, to boost economic growth, development and employment, government organisation Locate Jersey is offering High Value Residency programme. They encourage high-net-worth individuals to relocate to the island in exchange for their contribution in the local economy. Jersey also has a business relocation scheme for low footprint businesses offering competitive tax rates, business-oriented environment, highly qualified workforce and a high level of professional services. Jersey has a lot to offer to affluent foreign nationals and businesses in exchange for their contribution in local economy. Ability to generate at least £145,000 of tax revenues per year. Applicants must pass Due Diligence process. Availability of at least £1.75 million to buy or lease a property. Jersey’s government launched its residency programme in order to attract investments from highly skilled and economically active individuals and grant them residence status in exchange for their social and/or economic contribution to the community. Contribution to tax revenues. Minimum tax payable must be £145,000 per year. Annual worldwide sustainable earnings over £725,000. creation of jobs and/or training of residents. Once the entitled status is granted, applicants are free to rent or buy a qualifying property in Jersey and take residence there. Normally, the Population Office requires it to be a high-value property, i.e. valued over £1.75 million. Successful applicants will also need to obtain a social security number and registration card. Jersey offers ideal business and taxation environment for businesses to invest, grow and prosper. The government provides necessary support and incentives to encourage businesses to move offshore. Jersey is a global hub for financial, legal and other professional services. There are two ways to acquire a business licence and start a business on the island. 2.The business must have social or economic value, such as the amount of taxes paid, creation of high-value jobs and/or training opportunities for islanders, offering graduate and school leaver opportunities, using local service providers, etc. Financial forecast with details of staff for the Jersey business. Once you obtain a licence you can set up a business and employ staff. You must also register the business with the Companies Registry as well as Income and Tax Social Security. And our team can provide support during the whole application process and for the post-approval procedure. Jersey has their own financial, legal and judicial systems, and the power of self-determination. However, the UK is constitutionally responsible for the defence of Jersey. Besides, Jersey is very close to the UK culturally, including common language, sports, left-hand driving, school curriculum, etc. Government: Self-governing parliamentary democracy under a constitutional monarchy. Membership: European Union Customs Union, British-Irish Council, Commonwealth Parliamentary Association, Assemblée parlementaire de la Francophonie. Climate: temperate with mild winters and mild to warm summers. The main sectors of the island’s economy are financial services, tourism and hospitality, retail and wholesale, and agriculture. Jersey is one of the leading offshore financial centres. They have a fair and open tax system. In 2005, the Government passed the Competition Law to regulate competition and stimulate economic growth. Main agricultural products are potatoes, tomatoes, flowers and dairy produce exported and sold in farm shops.